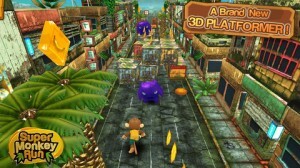 Super Monkey Runis a Mac Game developed by Geimo. In this addictive runner, you need to escape from a scary monster and navigate a unique cityscape. 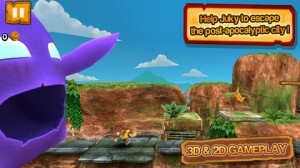 There are alsomobile versionsof the Super Monkey Run game available. 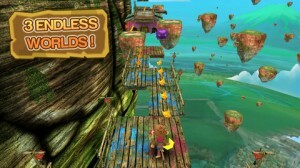 What Super Monkey Run offers is a little bit different from other games out there. 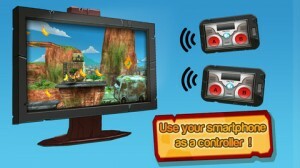 You can download the iPhone/Android/tablet version for free, and then install the “home edition” of the game on your Mac or PC in order to use your phone/tablet as a way to have a second player controller. 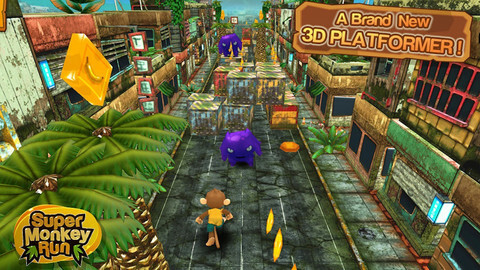 The Super Monkey Run game is absolutely gorgeous, with 3D graphics that are totally stunning. These are console-quality graphics, without a doubt, and the world created by this monkey-lovin’ game is wonderfully immersive. The controls are just as pleasing: very intuitive, and very responsive. When playing the game on your Mac, the space bar is used to jump, while you can hit “b” to jump and double jump, and move from side to side with the arrow keys. What’s really fun about the gameplay in this 3D runner is the blend of both 3D and 2D game elements. 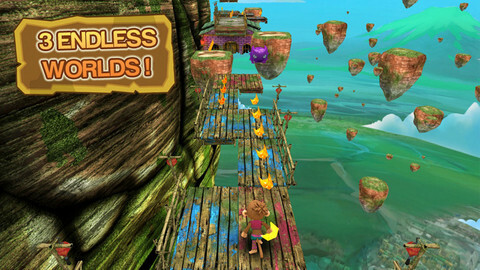 After running straight ahead in 3D mode, your perspective changes, and the game becomes a more traditional 2D platformer. Despite a couple of minor annoyances here and there (including the game’s inability to re-size the game screen automatically), Super Monkey Run is a great game for your Mac. Between running, collecting bananas, and jumping over monsters, this exciting game is a must-play title that you’ll definitely go ape for. Super Monkey Runis available for both Mac and PC. The mobile versions are compatible with iPhone 3GS, iPhone 4, iPhone 4S, iPhone 5, iPod touch (3rd generation), iPod touch (4th generation), iPod touch (5th generation) and iPad. Requires iOS 4.0 or later. This app is optimized for iPhone 5.